Year 2011 is about to end, but Jordan Brand’s banner model for this year, the Air Jordan 2011 is not yet ready to make an exit. This month, the Air Jordan 2011 is expected to make noise once again after being released in Varsity Maize/Anthracite – White colourway as part of Jordan Brand’s Varsity Maize Pack, which also includes Jordan Melo M8 and Jordan Big Ups. The silhouette was made with Flywire upper with anthracite marble-printed leather that sits on a black midsole and white outsole. This could be the last colourway of the Air Jordan 2011 so make sure to grab one! 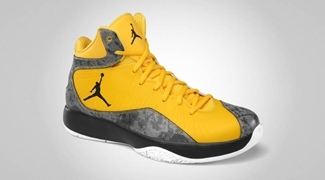 Jordan Melo M8 Now Available in Varsity Maize Colorway! 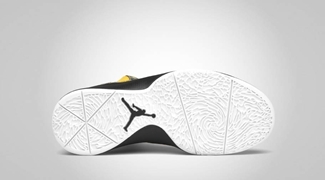 “Varsity Maize” Jordan Big Ups Released!